The men and women who give the money away, in 1977 and now in 2019. Well not much has changed, the RNBT are still giving money away to serving personnel and veterans of the RN and RM and their families but what has changed is the volume of beneficiaries and the amounts. 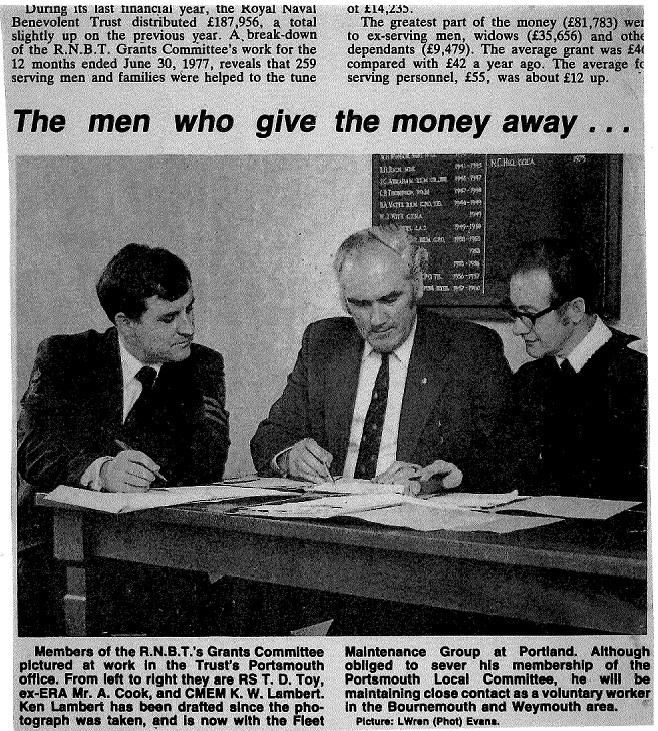 In just 1 yr (ended 30 June 1977) the Grant Committee helped 249 beneficiaries and their families to the tune of £14,235. The average grant was £46. Fast forward to 2019, the RNBT has helped over 2,991 beneficiaries to the sum of £2.5 million and the average grant is £827. One of the committee stalwarts then and now is Ken Lambert BEM. 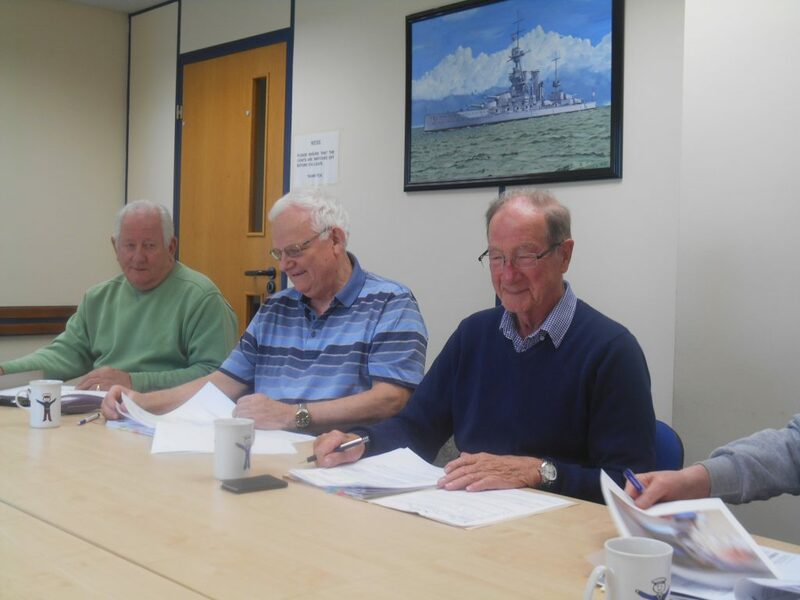 Ken pictured on the right of the photo, has held the positions of RNBT Trustee and Grants Committee Chairman. If you would like to be part of the Grant Committee and can spare an hour on a Wednesday between 1130 and 1230 please contact rnbt@rnbt.org.uk.